In Coach McKay’s 2nd year, the team again showed great improvement. When he took over this program in April of 2015, the team was coming off 4 straight losing seasons and 3 consecutive 20 loss seasons. The team was one of the worst in all of Division I. In just 2 years, the program’s foundation has been built and we’ve already seen some success from that foundation. One stat I’ve been tracking during this turnaround has been the team’s improvement from year to year. During the calendar year 2015, the Flames were a program-worst 2-28 against Division I opponents. That mark improved to 14-15 during 2016. 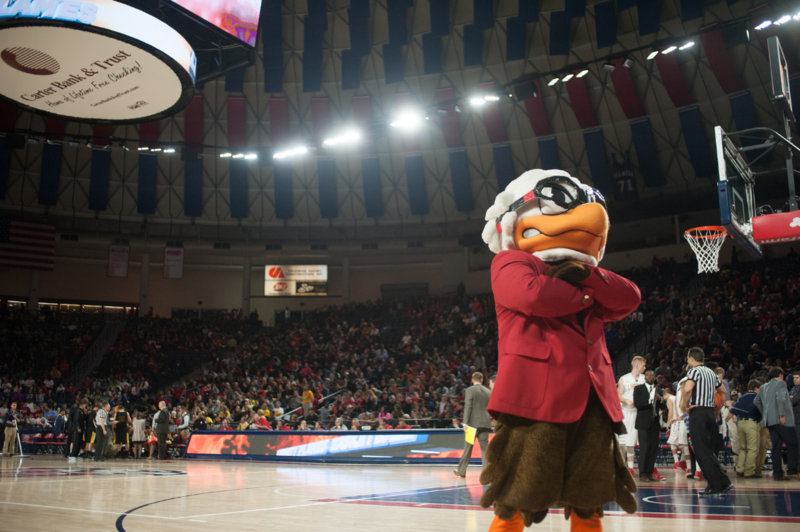 So far through 2017, Liberty is 14-6 against Division I opponents. Hopefully they will continue this trend during the non-conference portion of their schedule in the fall. While there’s been great improvement, there’s still a long ways to go to elevate this program to where it should be and where the coaching staff expects it to be. 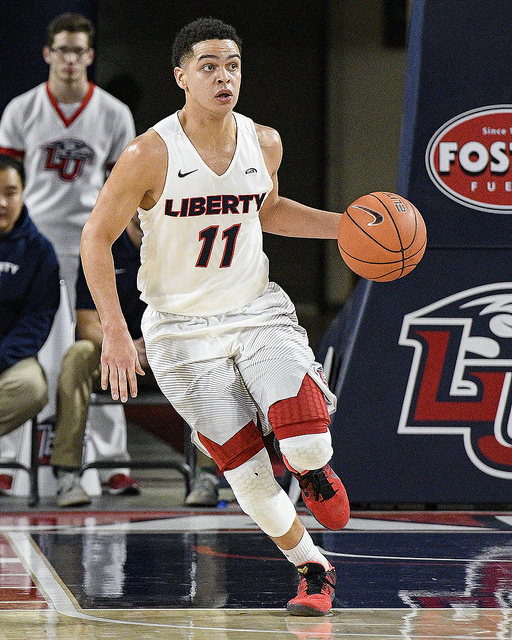 In its 4 games against the class of the Big South (Winthrop and UNC Asheville) Liberty was dominated. 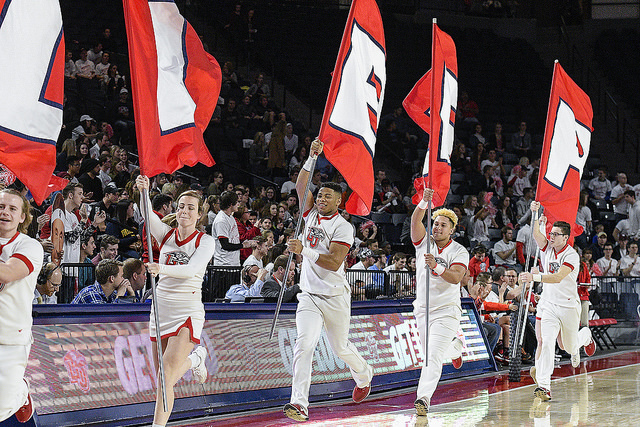 The Flames lost those 4 games by an average of 15 points, and with the exception of the first half against UNCA in the regular season finale, none of the games were competitive. 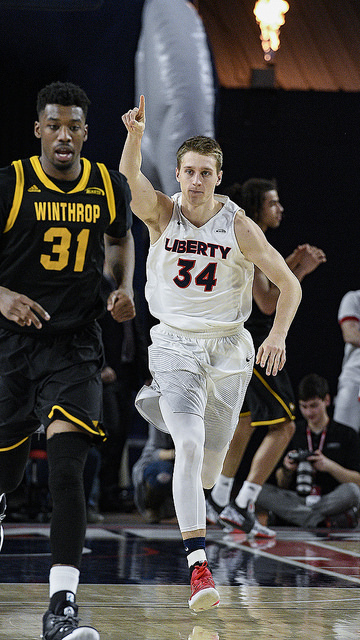 Liberty has also been eliminated in its first game of the Big South Tournament for each of the past 4 years. These hurdles are the next most obvious ones which must be overcome as Coach McKay continues to build this program. The Flames did pick up its first win over a non-conference Division I opponent in 2 years back in late November, but the team was still just 2-8 against such teams prior to the CIT. There were several games that the team was close, but could not get over the hump (VCU, William & Mary, UNC Greensboro, Furman, Princeton). Hopefully the success seen in the CIT will carry over to next season’s early non-conference games and beyond. Liberty still has not defeated a non-conference opponent on the road since December 31, 2012. That’s a trend of 21 straight losses. The team has come close on a couple occasions, but have not been able to get over the hump. They have proven during conference play that they can be successful on the road, they just need to do so against non-conference teams. As we all know, Caleb Homesley was lost for the season due to an ACL injury against Princeton back in December. It’s Caleb’s 2nd ACL injury in 3 years. The 6’4″ sophomore guard was arguably the team’s best player through the first 10 games of the season. He was leading the team in all major statistical categories while averaging 12.9 points, 6.3 rebounds, and 2.9 assists per game. His offensive playmaking ability was something the team had to overcome to be successful in the 2nd half of the season, and they were able to do so. Having Caleb back next season, if he’s able to come back completely healthy, will be a huge boost to the team’s depth and potential. Speaking of Georgie, what a season for the true freshman point guard. He was a late addition to the class, and not much was initially expected of him. Once he got some game action, Coach McKay had a hard time taking him off the floor. He ended up playing the most minutes of anyone on the team and finished the season averaging 8.6 points, 3.1 rebounds, and 2.6 assists per game. His assist to turnover ration was 2.3, and he went 133 consecutive minutes during the heart of conference play without committing a turnover. In addition to Georgie, Myo Baxter-Bell and Brock Gardner provide a solid freshmen nucleus that this team can be built around the next few years. Myo and Brock’s production was more up and down throughout the year than Georgie’s was, but that’s to be expected of freshmen. Myo and Brock each showed flashes of their potential at times. I’m sure they’ll work hard during the offseason to improve their craft and become more consistent producers. We’ll certainly discuss next season in more detail as the offseason continues, but the expectations will certainly rise and will likely be higher than they’ve been in quite some time. November can’t get here soon enough.